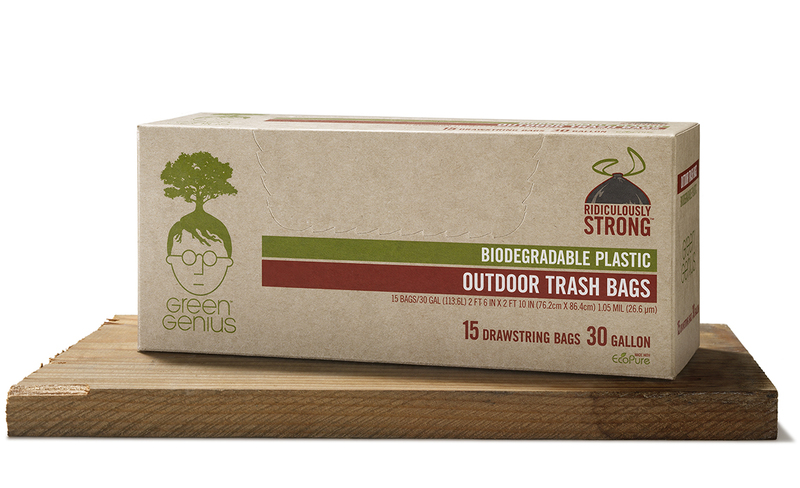 Green Genius produces a line of biodegradable trash and storage bags. 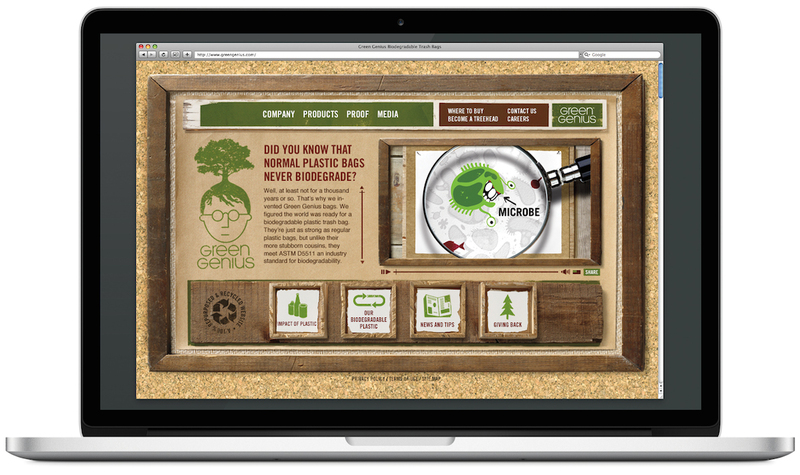 The work we did for them needed to say “green” and smart in a way that avoided the classic green pitfalls. We also wanted this brand to have a strong personality as the trash bag category is completely void of personality. 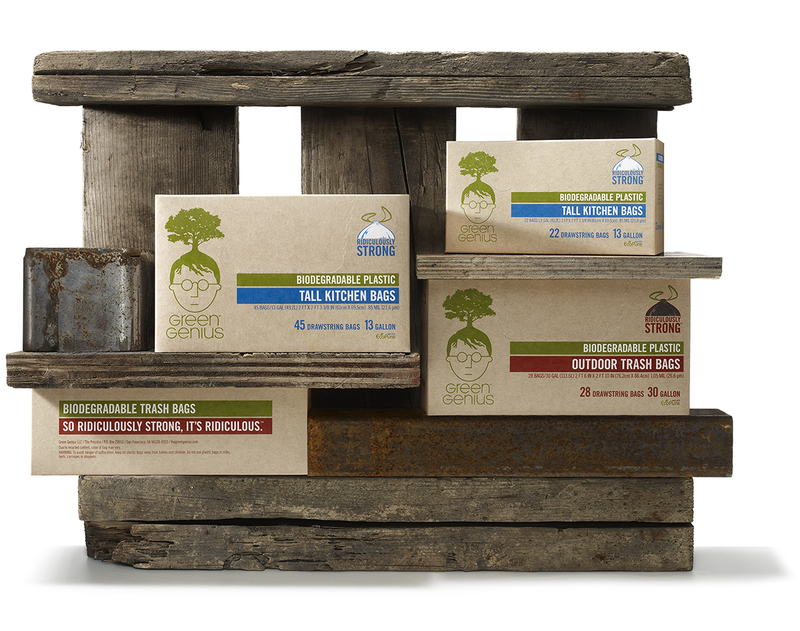 To echo the sentiment of the products, we created a look for Green Genius that was built entirely out of repurposed and recycled materials. To do so, we rummaged through salvage yards, photographed our finds and assembled them digitally to create a textural and layered look that was used in the print ads, website and trade show graphics.